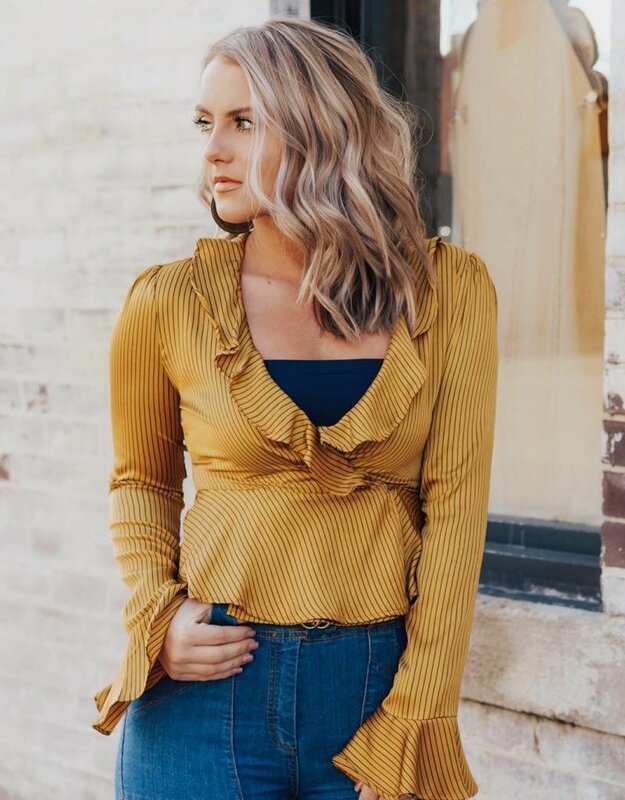 Make a statement at your business meeting in this adorable mustard ruffle blouse. You are sure to be Well Known in the business after you rock this adorable statement piece. This top includes a striped bodice with black stripe ruffle detail.